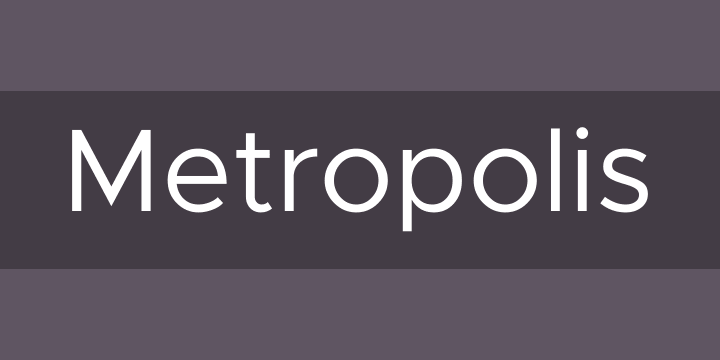 Copyright (c) 2015, Chris Simpson, with Reserved Font Name: “Metropolis”. A modern, geometric typeface. Open sourced, and openly available. Influenced by other popular geometric, minimalist sans-serif typefaces of the new millennium. Designed for optimal readability at small point sizes while beautiful at large point sizes.